Continuing Airworthiness Management software is a specialized business solution for any airlines regardless of their size and market segments. Our business solution is perfect for companies and enterprises involved in passenger air transportation, business aviation and air cargo transportation. 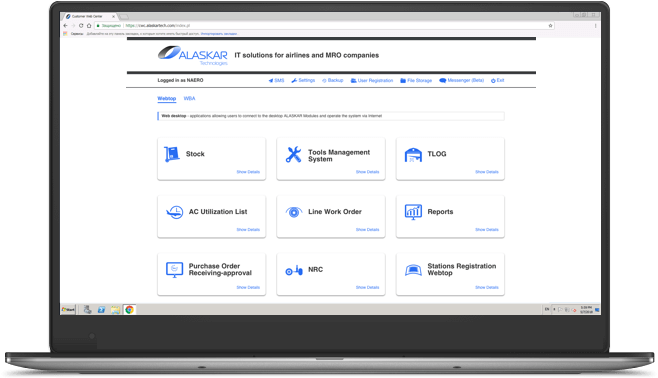 ALASKAR MRO software is a comprehensive, specialized business solution for companies dealing with aircrafts maintenance, repair and overhaul. This solution is based on a long-term experience and European quality standards. We develop software and provide professional targeted services in the field of automation of technical maintenance and repair of aviation equipment. 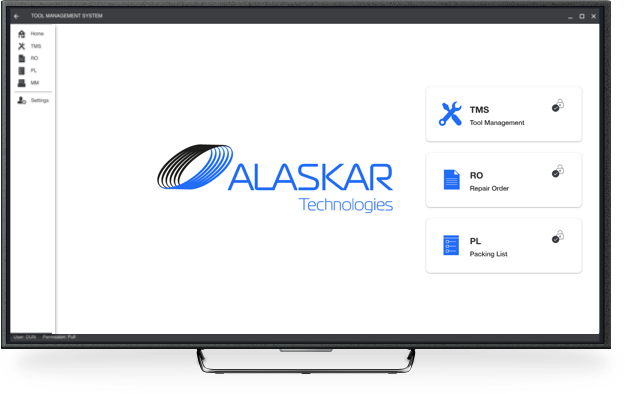 In addition to the desktop version of the program, ALASCRAR Technologies provides its customers with a web version. This software product is adapted to the dynamic work of clients, constantly improving and supplementing. At the request of our customers, a mobile version is released and continues to be developed.